My aunt and uncle recently celebrated their 40 years of togetherness. During the renewal reception, they had their old wedding album displayed. Of course, what caught my eye is how my aunt chose to wear a hat instead of a veil and stemmed flowers instead of a bouquet. How wonderfully rebellious! 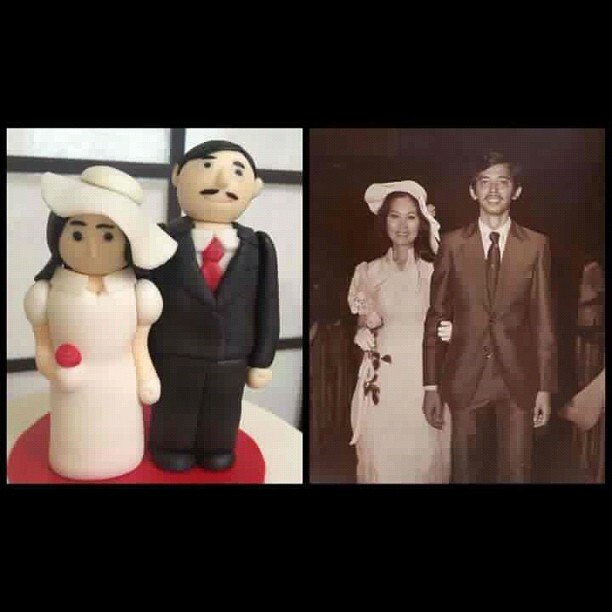 My cousins had a fondant cake topper designed to re-create their parent's wedding look. Then and now! 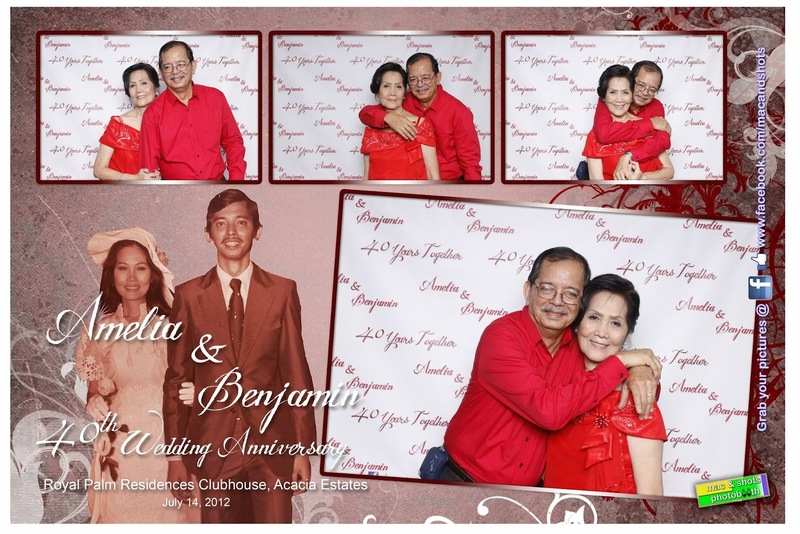 Look at them, still lovey-dovey 40 years after. Does this not make you wanna hug your husband and look forward to more years together? I do!